The end of Veganuary 2019 is here and there’s only one way to celebrate. 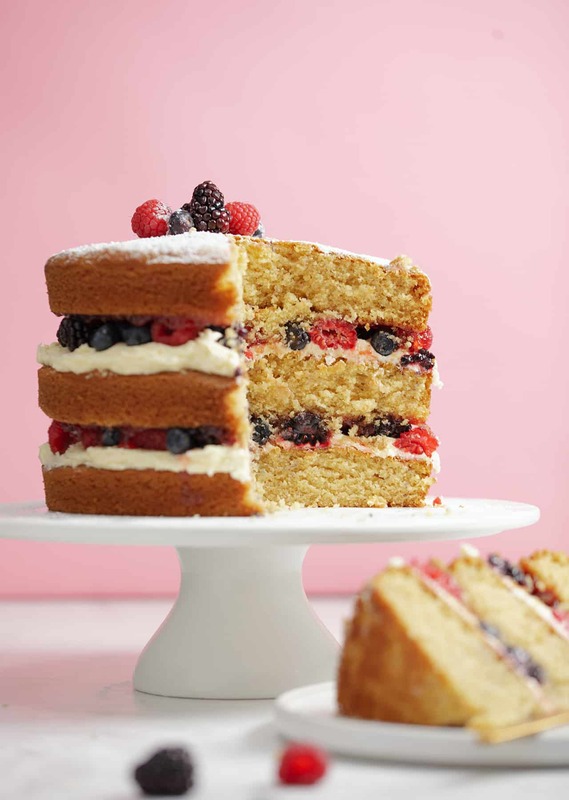 Say hello to our show-stopping Triple Decker Victoria Sponge. Dedicated to everyone who has taken part in Veganuary this year, our brand new vegan Victoria sponge cake has it all. It’s light and fluffy, as all sponge cakes should be, and it’s devilishly moreish. We tested dozens of versions to get the sponge just right. 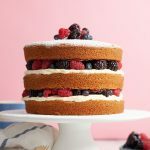 Vegan sponge cakes can often be dense and rubbery, but we’ve managed to find just the right balance of ingredients for a wonderfully light bake. We use Flora Dairy Free to make this epic cake. 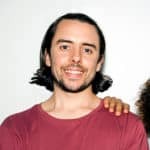 You can find out more about their dairy-free spread here. Preheat the oven to 160°C / 320°F fan-assisted. Grease 3 x 20cm (8”) cake tins with Flora Dairy Free spread and line the bottoms with baking paper. To create the vegan buttermilk, combine the soya milk and apple cider vinegar together in a small bowl and set to one side while you complete the next steps. In a large mixing bowl, cream the 350g of Flora Dairy Free spread and the caster sugar together until light and fluffy. Then sift in the flour and bicarbonate of soda, and pour in the vanilla extract and the buttermilk you prepared earlier. Gently stir all the ingredients together with a wooden spoon until fully combined. Divide the cake mix evenly between the three cake tins and even out the mixture with a spatula or with the back of a spoon. Bake for 30 minutes or until a toothpick comes out clean. If the mixture is still wet, bake the cakes for an extra 5 minutes. Remove the cakes from the oven and leave to cool fully in the tins. This will help ensure the sponges are firm and won’t crack when you turn them out. 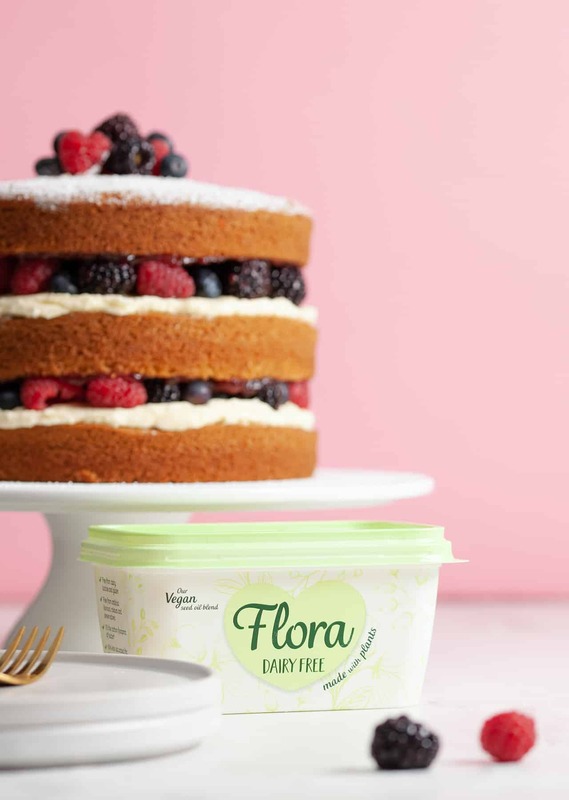 Meanwhile, prepare the vegan buttercream by adding 150g of Flora Dairy Free spread and the zest of ½ a lemon to a mixing bowl. Beat the ingredients together, adding the icing sugar in stages as you go until fully combined. Once the cakes have fully cooled, turn them out and place the first one on a cake stand or serving plate with the top facing up. Evenly spread half of the buttercream on top, going right up to the edges. Then cover the buttercream with half of the fresh berries. Turn the remaining 2 cakes upside down and spread 5 tbsp of jam across each one. Place one of the cakes (jam side down) on top of the berries. Spread the remaining buttercream on top, cover with the remaining berries, then add the final cake (jam side down). 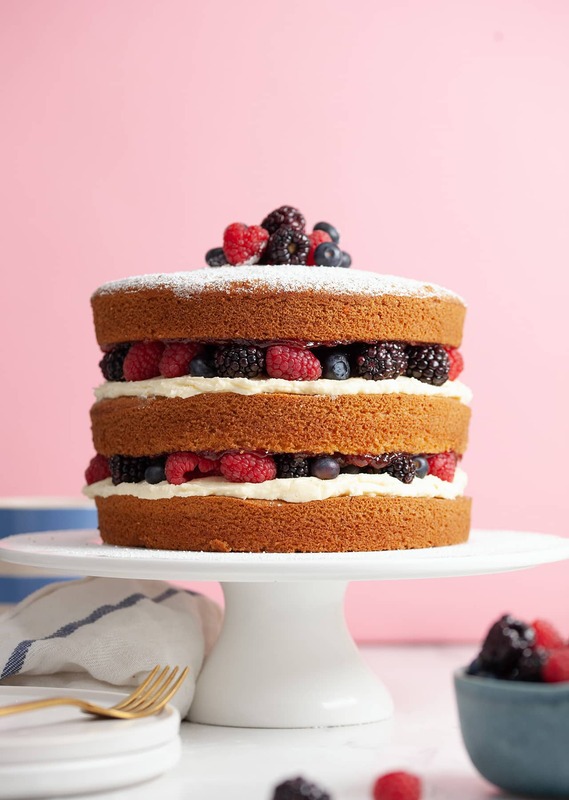 To finish, dust the top of the cake with icing sugar and decorate with a few extra berries. Now tuck in! Thanks Karen! Let us know what you think. Having tried 2 different recipes this is without doubt the best you will find on the internet it turned out perfect.